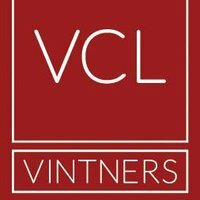 VCL Vintners are a well established organisation of UK based wine and whisky merchants. Having recently celebrated eight years in these markets, VCL Vintners are perfectly positioned to create a diversified, profitable and balanced portfolio of bankable fine whiskies and wines. We have direct access to Bordeaux’s Châteaux and negociants, enabling us to cut out all middle men, ensuring that our clients have the rarest and most bankable wines money can buy. Download our corporate brochure to see how our experienced market advisors at VCL Vintners can help you build a bankable collection of Whisky and Wine that will target stellar returns in balanced portfolios. VCL Vintners through a variety of different sources can provide prospective clients with opportunities to purchase some of the rarest and most sought-after whiskies on the planet. According to Fortune, over the past decade, the return on rare whiskies has been roughly 25% per year, and the world’s 100 most valuable whiskies have gone by in value 447% since 2010. As members of the ‘London International Vintners Exchange’, we are able to dispense advice on when to buy and sell, and to keep clients informed of wines that represent excellent value with strong profit potential. With qualifications achieved through the ‘Wines and Spirits Education Trust’, our senior team has a combined experience of over 20 years and are able to offer a personalised service, with regular valuations and recommendations. Whilst our business model remains a business to business UK wine merchant, we do provide a retail purchasing service. Retail clients are advised to purchase stock online through our website or to speak to a senior advisor for a more in depth analysis of the market. This service can be best described in three simple words– buy, hold and sell. Alongside managing your investment portfolio, VCL Vintners provide a wide range of exit strategies including wholesalers, wine collectors, wine funds and auction houses.